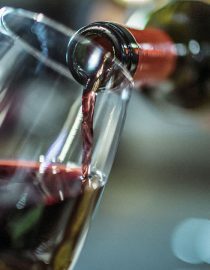 Alcohol and the Bladder: Can You Drink Alcohol With Overactive Bladder? If you suffer from overactive bladder (OAB), you may wonder if you may drink alcoholic beverages. Every person is different, and some people who have an overactive bladder may be able to consume limited quantities of alcohol occasionally; while others must avoid alcohol consumption entirely. There are a few reasons why drinking alcohol with overactive bladder is not recommended. How Does Alcohol Affect the Bladder? Alcohol increases urine production and irritates the bladder. This occurs because alcohol interferes with the production of the hormone, vasopressin. Vasopressin has many functions in the body. It regulates fluid balance by increasing the reabsorption of water from waste products. Since the body is not receiving the message to reabsorb water; excess water is removed from it via urine. When alcohol is consumed, the body makes more urine the bladder requires frequent emptying. The reason why people are dehydrated after a night of heavy drinking is because alcohol dries out the tissues of the body by increasing the amount of urine produced and excreted. If you have an overactive bladder, you already need to urinate frequently without drinking alcohol. Drinking alcohol is not in your best interest because you will need to get rid of more urine and have the urge to go even more frequently than you already do. In addition, you risk becoming dehydrated if you consume a moderate or large amount of alcoholic beverages. Alcohol is an irritant. Its irritating effects may make you feel as if you have to urinate more frequently as well. If you already suffer from a sensitive bladder, the irritating effects of alcohol will only make the urge to urinate occur more frequently and make it even more difficult to control your OAB. Are Some Types of Alcohol Less Harmful to the Bladder? Sometimes people ask if it would be better to drink a concentrated alcoholic beverage, such as whiskey or vodka instead of beer, mixed drinks or wine so that the volume of liquid is reduced. The answer to that question is no. Most of the increased urine precipitated by drinking alcohol is not due to the liquid in the beverage. Rather, it is caused by alcohol’s effect of increasing urine production. There is no benefit of drinking undiluted hard liquor as opposed to other alcoholic beverages. Conversely, there is no advantage of drinking wine or beer as opposed to hard liquor in an effort to reduce the irritating effects of alcohol on the tissues of the urinary tract. You might also like...Can Hypnosis Help OAB? You may be taking medications to relieve the symptoms of overactive bladder. Unfortunately, most pharmaceuticals prescribed to treat overactive bladder impair your body’s ability to regulate temperature well. You may be at risk for heat stroke and several other side effects. The drugs may cause dizziness, sleepiness, restlessness, and insomnia. Some people may even experience hallucinations. Alcohol increases the likelihood of these side effects occurring. Next page: the risk of heat exhaustion, how alcohol impacts some common underlying causes of OAB, and alternatives to drinking alcohol.